I love to travel and have a bucket list of countries I want to visit. On the top of my list currently are India, the USA, Cambodia, Peru and New Zealand (because I love Lord of the Rings haha). I love taking photos so expect a lot of photos in my blogs! I am in the middle of my last camp. I gave my all to this camp. This is mainly because it will be my last ever camp. I started decorating and preparing at the end of November. My camp was from the beginning of January for two weeks. My low level camp was for a week from the 26th December. Low Level camp - 26th December - 2nd January. For my low level camp. I took the Harry Potter theme and based my day around this theme. My low level students were 4th graders. They can not understand anything in English. Therefore, all the camp was quite simple. It mainly considered of teaching phonics and alphabet in the morning, followed my crafts in the afternoon. I gave each student a file. This file was kept at school for the week. On the front I stuck brown paper. They decorated the front with their Korean name in English. I don't agree with giving kids English names. I think people should learn how to pronounce their names. 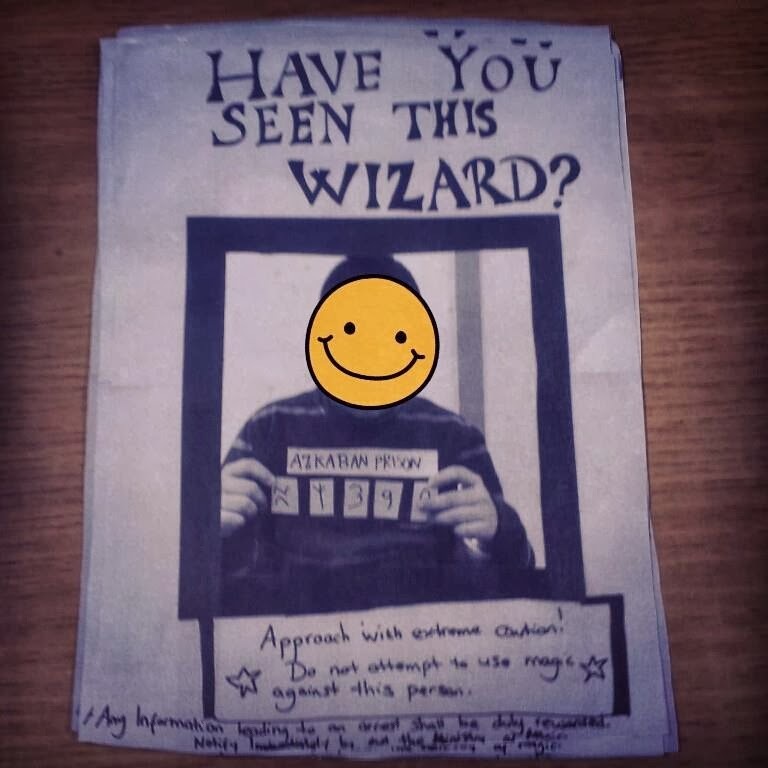 On the back, I took a picture of them in the Sirius Black wanted sign. They stuck this to the back.Inside the file was a envelope. Here they put their gallons. They got coins for winning games and working hard. On the back on these coins, were letters. I used these for a raffle on the last day. This kept them motivated. In their files, they put the phonic worksheets they did in the morning. If they were good we then did crafts and games for the last half of the day. 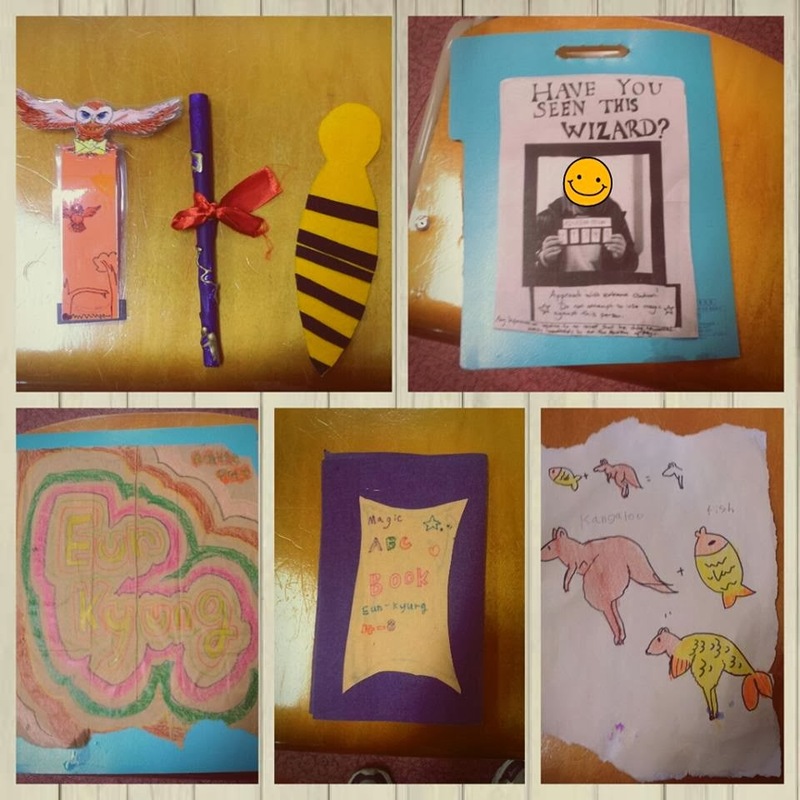 I also made a magic ABC book for each student. It was art paper made into a book and covered with felt. They students drew a few letters of the alphabet into their books a day. On day one, we explained the rules and made old paper. Day three, we made wands and did the animal hunt (see regular camp) . This day they wore their new ties. they were sooooooo cute! 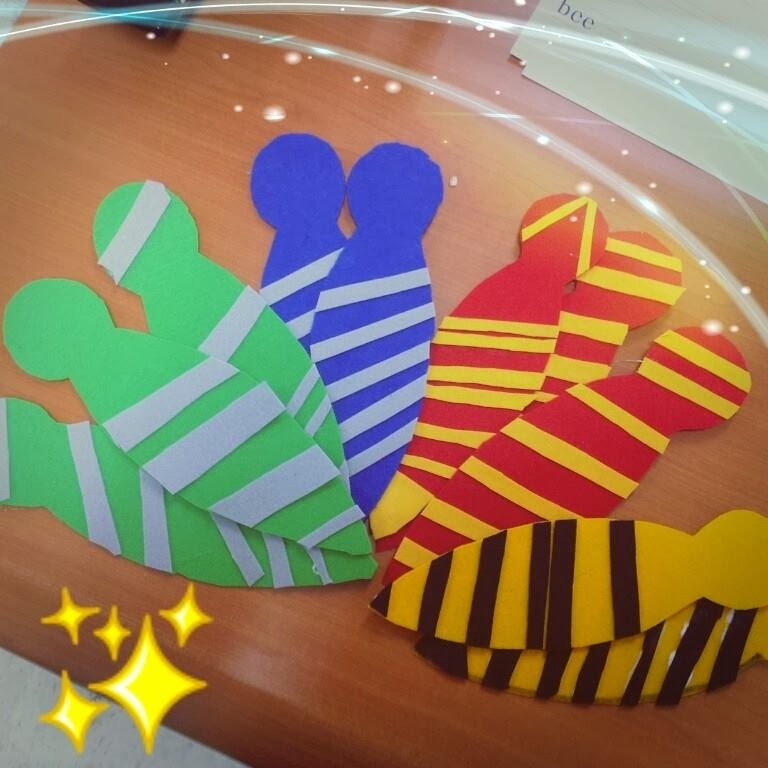 Day four, we made book marks. They coloured a picture in and decorated some card. I then laminated the card and folded it in half. We then stapled the picture to the card and attached magnets. 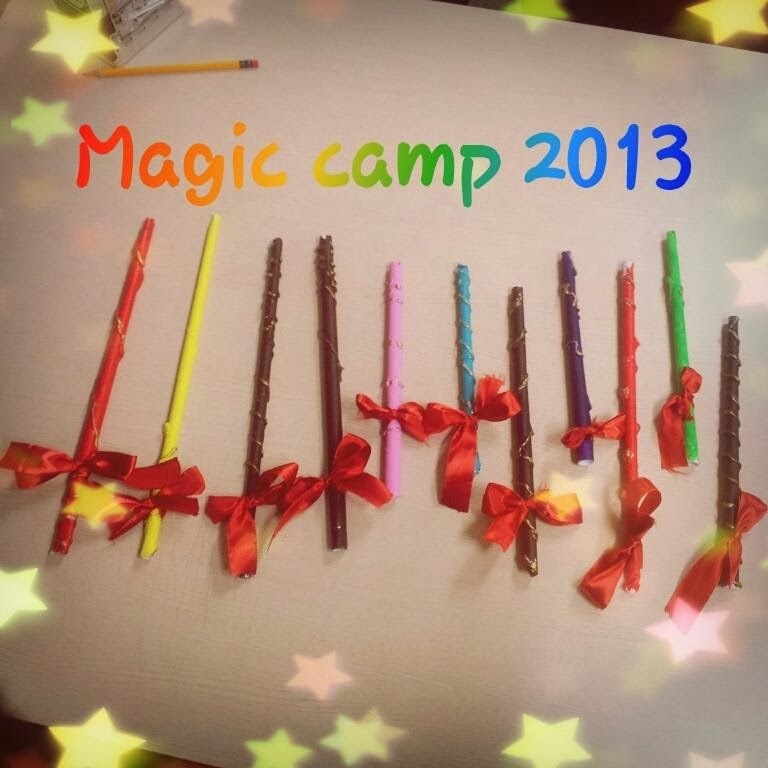 We played magic freeze tag using the wands (see regular camp). Day five, I had no co-teacher so I couldn't do much. We just did a raffle and finished our magic ABC book. The hobbit is going back to the Shire!! !